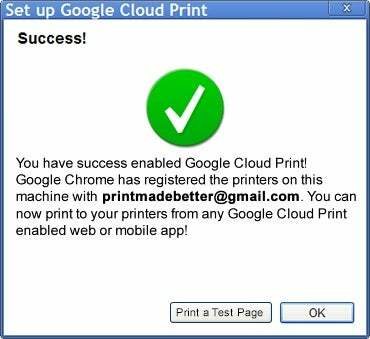 Cloud Print, Google's long-anticipated online printing solution, recently launched as a public beta for Windows users, and the feature, which is supposed to allow you to print remotely to a networked printer, is extremely easy to use. Here's a quick look at Google's new Cloud Print feature. 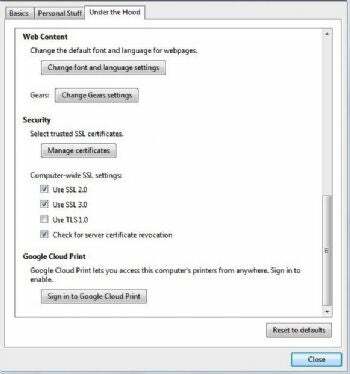 To start using Cloud Print you need to have a PC with Windows XP, Vista or Windows 7 running Google Chrome version 9.0.597.1 or higher. You can download the latest beta version of Chrome here. You also need to be running the US English version of Chrome, but you do not need to be located in the United States for Cloud Print to work. You may also have to set your Gmail language setting to US English in the Gmail settings panel. Click here for more information on how to change your language. Once you've met the prerequisites, click on the wrench icon in the upper right corner of Chrome and select options from the drop down menu. In the next pop-up window select the tab called "Under the Hood" (if it hasn't already been chosen for you) and scroll down to the bottom. You should see a button that says "Sign in to Google Cloud Print." Clicking on the Cloud Print button brings up a window that asks you to sign in to your Google Account again. Once you enter your credentials, you should see a notification after a few minutes like the one above telling you your registration succeeded. If signing in is taking too long -- more than 2 to 4 minutes -- cancel the sign-in process and try again. My first attempt to sign in stalled for more than 5 minutes, but once I canceled and tried again I received a success notification almost immediately. Once you're ready to go, all the printers connected to your machine will show up as print options in Cloud Print.